Welcome to Best Western Plus Fresno Airport Hotel! With the Fresno Airport minutes away, this property is a favorite for frequent travelers and outdoor lovers alike, especially since the beauty of Yosemite is just 45 minutes away. Whether its the Kings Canyon or Sequoia National Parks that brings guests to this part of sunny California, Fresno hotels make sightseeing easy. Plus, the California National Guard is also nearby, and the friendly staff specializes in serving those who serve the country as well as their family and loved ones. Enjoy a 24-hour shuttle to and from the local airport, as well as a complimentary shuttle service anywhere in a 4 mile radius, from the movie theater to the malls, guests have transportation taken care of. Hotels near Clovis are close to a myriad of restaurants and shopping. However, the nearby Fresno State University is also a big draw, and students and faculty both depend on this affordable property for extended stays. Relax at the on-site lounge with a full-service bar, along with salads, soups and sandwiches at Jet Lounge. A complimentary deluxe hot breakfast starts the morning right at this brand new, newly renovated property. Fast Internet in hotels in Fresno is a must. Guests need to check their itinerary when seeing a Grizzlies minor league baseball game or attending sporting events at Clovis High School or Buchannan High School. Print tickets to Chaffey Zoo or simply upload those vacation photos. Or, check out a concert or event at the SaveMart Center and Selland Arena. A number of schools are nearby like Fresno Pacific and San Joaquin, which is why this Fresno hotel specializes in longer stays. Business travelers with the IRS and SEIU also need extended stays, and those here for meetings with Pelco, Vale and Kraft also count on us. Considered the largest food producing valley, those in the agricultural business are also regular guests. 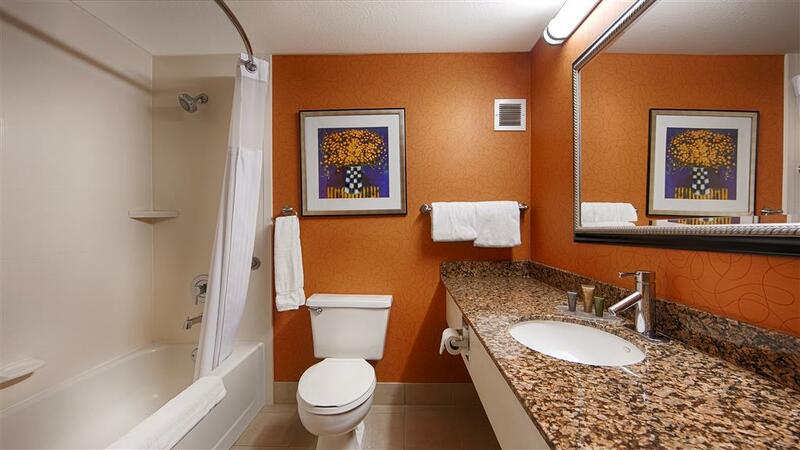 Book your Best Western Plus Fresno Airport Hotel room now! Enjoy your stay. Sierra Vista Mall,4.00 mile(s) from Sierra Vista Mall, a variety of great places to eat from Chipotle, Panera Bread, Red Robin, Rio Brazilian, Charley's Subs, IHOP, to Cool Hand Luke's and Andiamo's Italian, Toledo's Mexican. Sequoia/Kings Canyon Park,50 mile(s) from Sequoia/Kings Canyon Park, Sequoia and Kings Canyon National Parks lie side-by-side in the southern Sierra Nevada, east of the San Joaquin Valley.